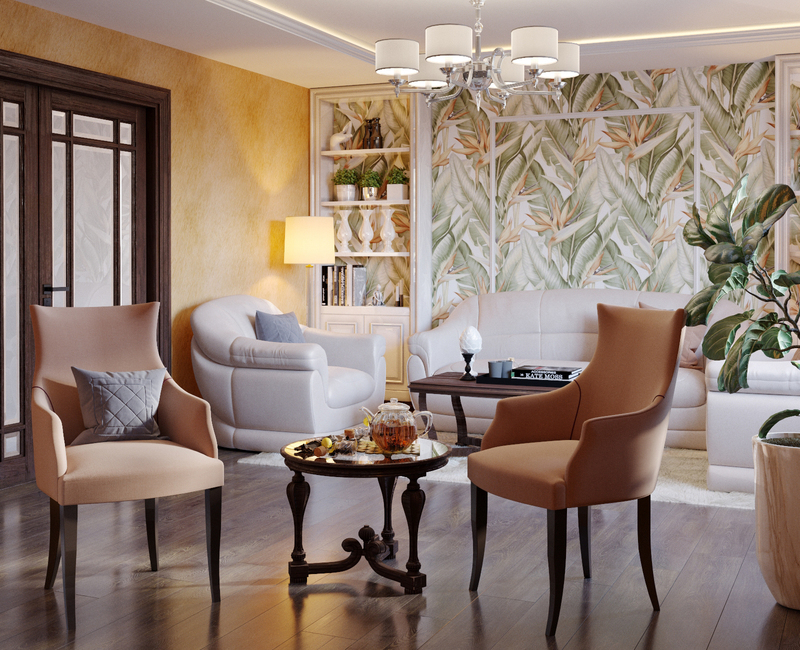 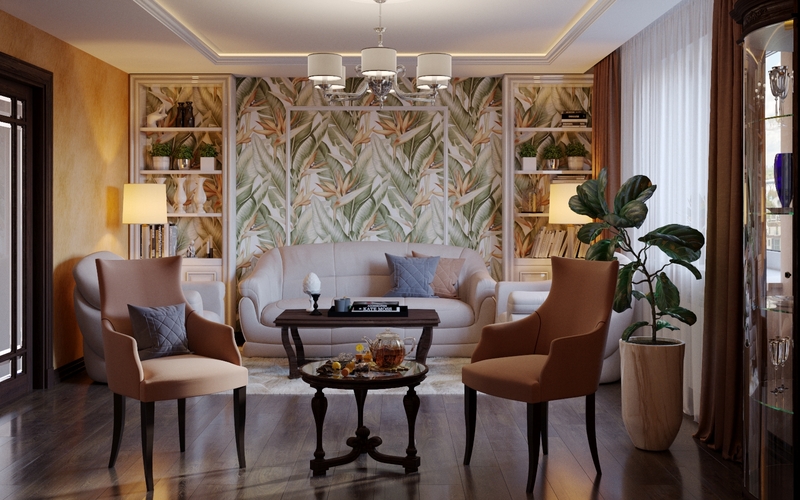 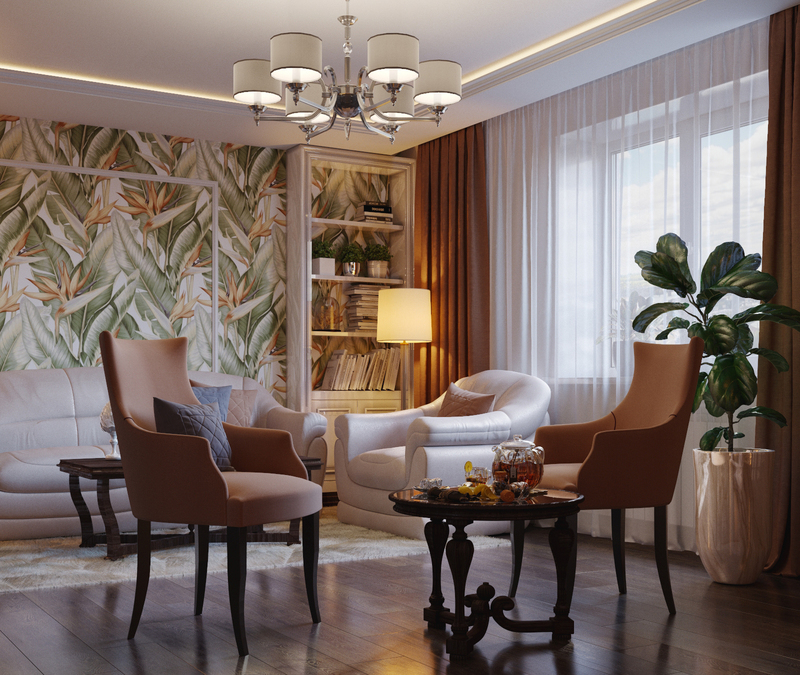 Interior design living room in a three-room apartment in the city of Voronezh. 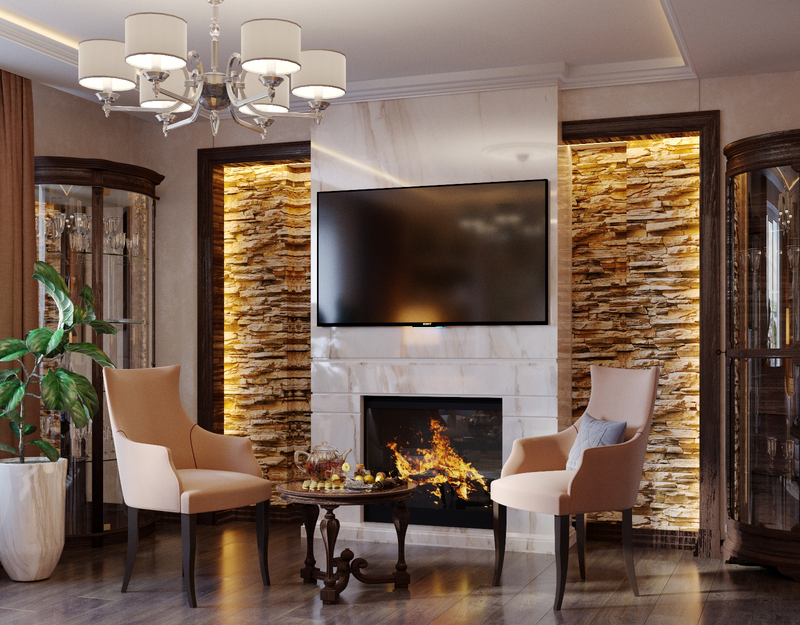 The interior is made in a classic style. 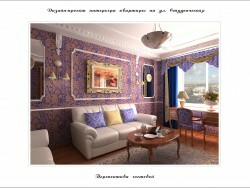 When designing, all the wishes of the customer were taken into account) The sofa, chairs and showcases were already there. 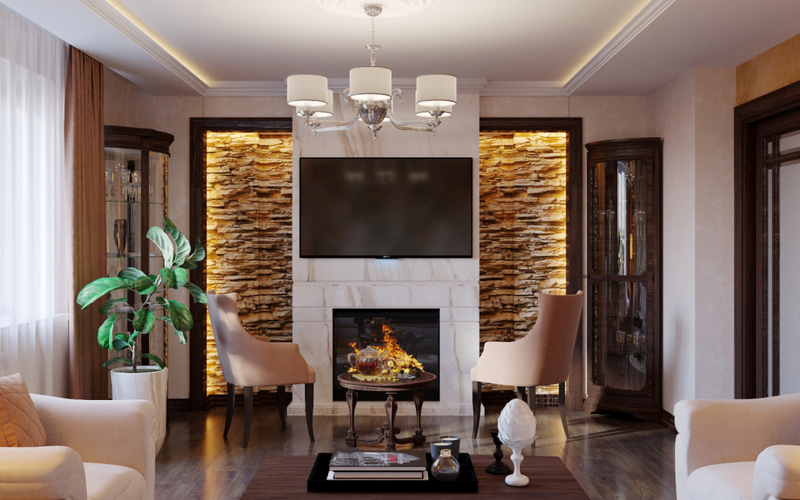 It was necessary to harmoniously fit them into the designed interior.